Our community deserves local food establishments that adhere to food safety, hygiene and cleanliness compliance guidelines. 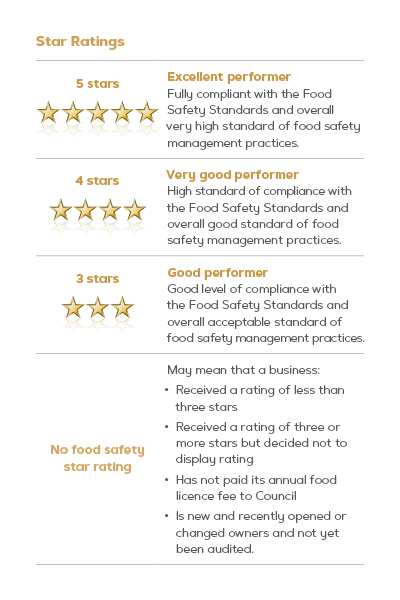 In order to ensure that our food businesses are operating at high levels of compliance and food safety levels are regularly monitored, Ipswich City Council has implemented a regulatory scheme for licensed local food businesses based on a star rating system. After auditing local food businesses (excluding temporary food stalls and water carriers) for good management practices and adherence with the the provisions set out in the Food Act 2006 and Food Safety Standards, each food business is assigned an Eat Safe Ipswich food safety star rating. A food business may receive one of the star ratings as set out in the Star Ratings chart (right), but only businesses receiving three or more stars may choose to publicly display their star rating. You can search for the food safety rating of local licensed food businesses by restaurant, address or star rating by visiting the Eat Safe Search portal. Find out more about how local licensed food business can participate in the Eat Safe Ipswich program and the benefits of letting the stars shine on their food safety practices by visiting the Eat Safe Businesses webpage. 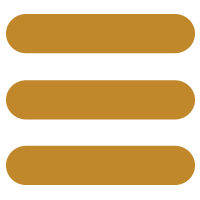 Eat Safe Resources - factsheets, guides, operational templates and a selection of multilingual materials.